So Shay: tweet, tweet! read all about it! tweet, tweet! read all about it! I just joined the twitter train (again). I opened up my account back in June of 2009...and it lasted about 7 tweets. I hope I keep up better this time. Want to be my twitter friend? We can be little blue bird friends together. That sounds like fun doesn't it? Oh, and bare with me. I still don't know how it exactly works. Good enough reason, I KNOW! That and I will follow you too! :) Just leave me your twitter name! Sharetweet, tweet! read all about it! 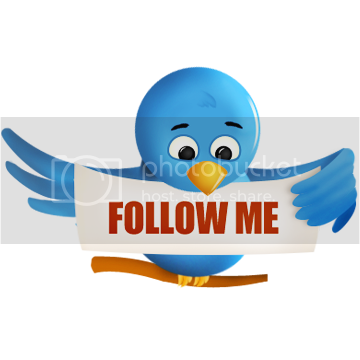 If I had Twitter I would follow you and if I ever get Twitter you better bet I'll check back and follow...Tweet Tweet! I'm going to follow you right now! I'm @missblondie_xo !! I need to catch up on your blog BAD! But I am following you... oh and I tweeted you! I probably wouldn't stick with twitter except all the other amazing bloggers have one and it's just another way to keep up with their lives. :) Plus I get all my NEWS from there as I'm in the college bubble and don't even have a tv in my room to keep up with the outside world. Looking forward to your tweets! if i had a twitter i would def. follow you! unfortunately, i have no desire to be addicted to more things, hehe. LOL peace and chicken grease? Love it. If I had twitter, I'd totally follow you!